1. 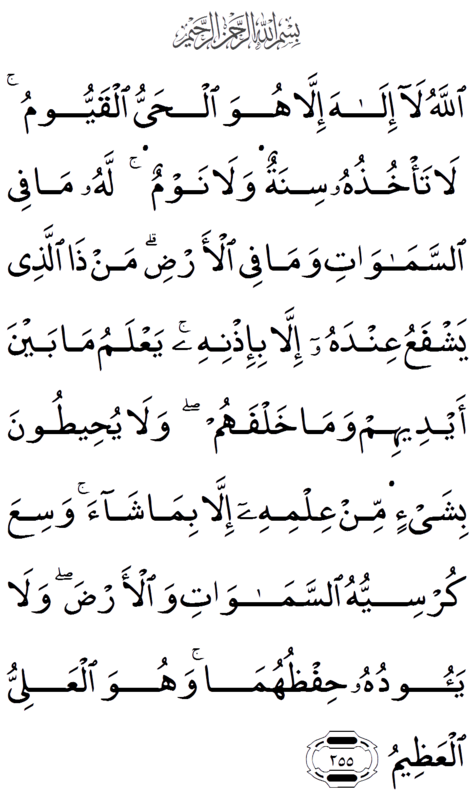 Bismi Allahi arrahmani arraheem. 5. Iyyaka naAAbudu wa-iyyaka nastaAAeen. 7. 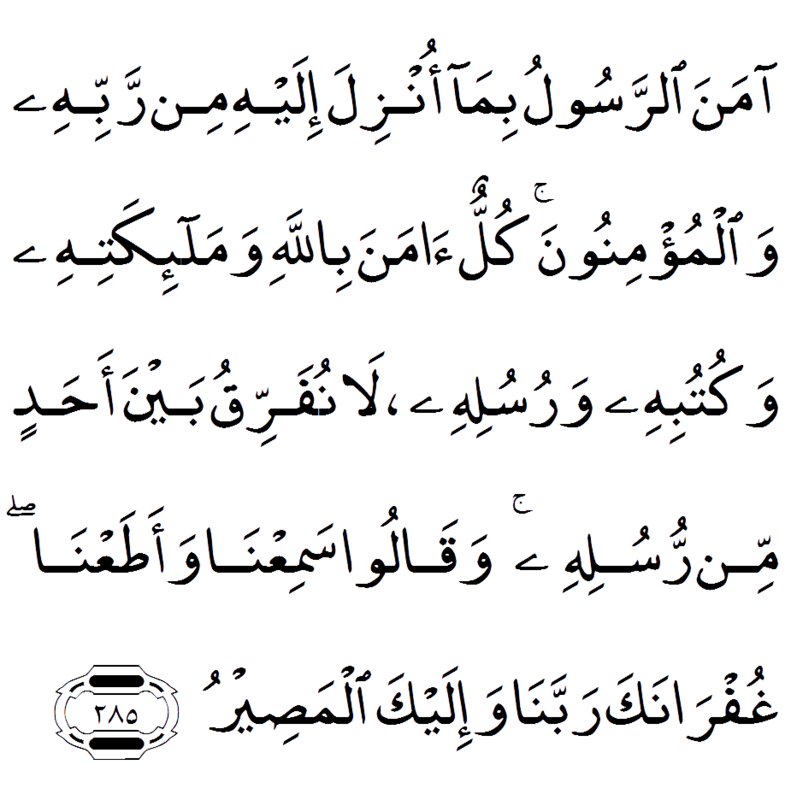 Sirata allatheena anAAamta AAalayhim ghayri almaghdoobi AAalayhim wala addalleen. 1. In the name of Allah , the Entirely Merciful, the Especially Merciful. 2. [All] praise is [due] to Allah , Lord of the worlds. 3. The Entirely Merciful, the Especially Merciful. 6. Guide us to the straight path. 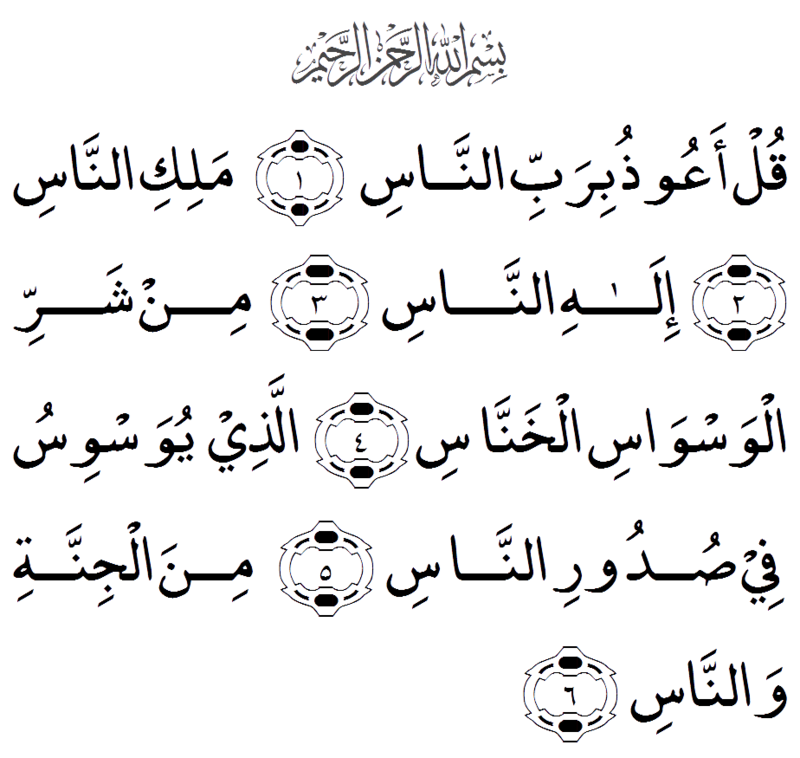 Allah responds to the believer when he recites Surah Al-Fatiah. Abu Hurayrah (R.A) who said that the Messenger of Allah (S.A.W) said “Allah, the Glorious and Exalted said, “I have divided the prayer between myself and my servant equally and my servant shall be granted what he asked for”. 2. 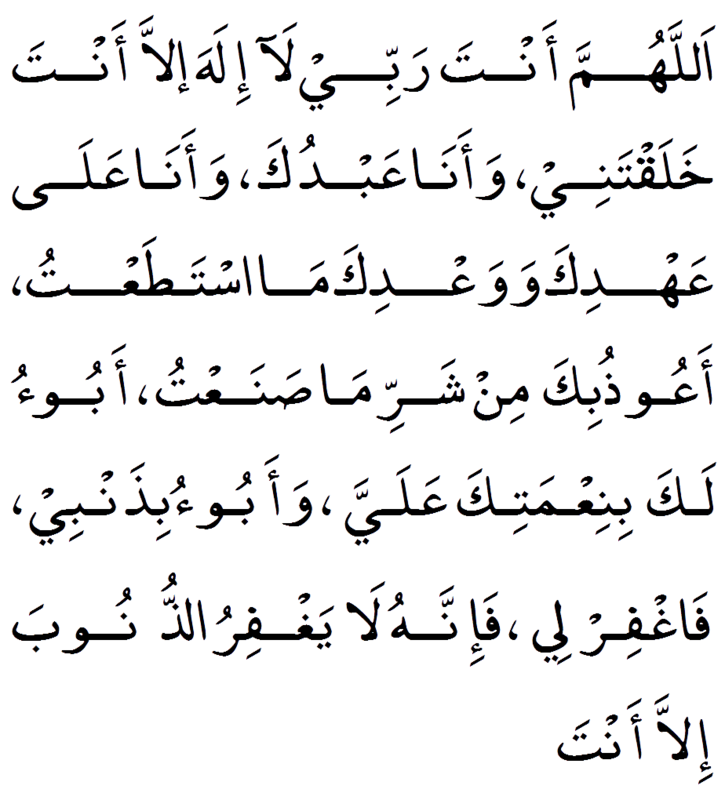 Thalika alkitabu larayba feehi hudan lilmuttaqeen. 3. 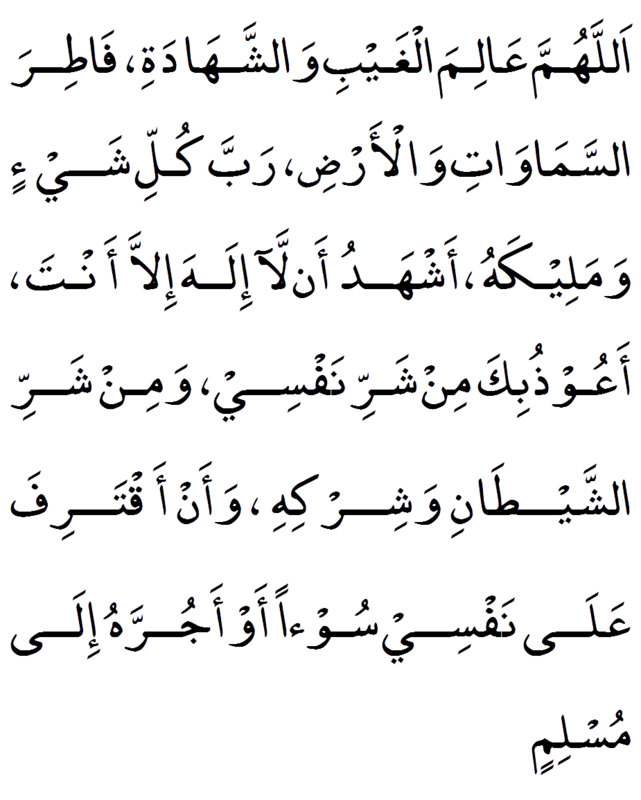 Allatheena yu/minoona bilghaybiwayuqeemoona assalata wamimma razaqnahumyunfiqoon. 4. Wallatheena yu/minoona bimaonzila ilayka wama onzila min qablika wabil-akhiratihum yooqinoon. 5. Ola-ika AAala hudan minrabbihim waola-ika humu almuflihoon. 2. This is the Book about which there is no doubt, a guidance for those conscious of Allah. 3. Who believe in the unseen, establish prayer, and spend out of what We have provided for them. 4. And who believe in what has been revealed to you, [O Muhammad], and what was revealed before you, and of the Hereafter they are certain [in faith]. 5. Those are upon [right] guidance from their Lord, and it is those who are the successful. 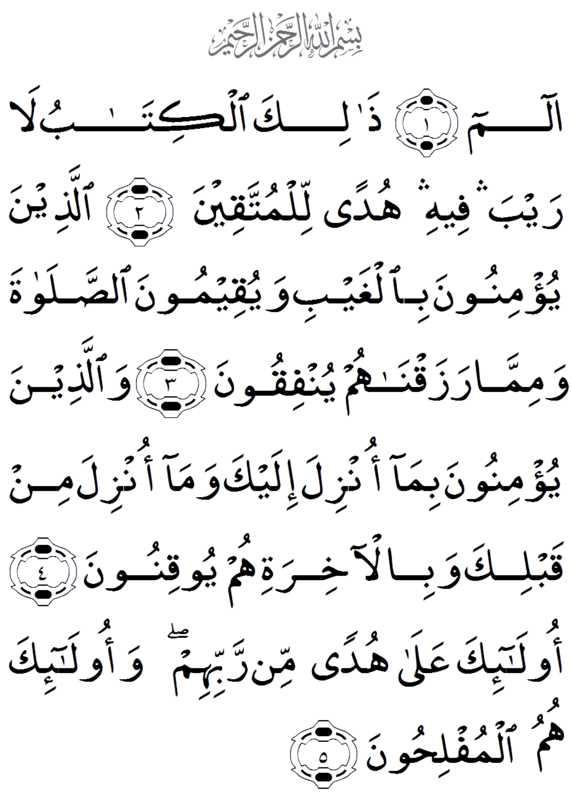 Ad-Darimi recorded that Ash-Sha`bi said that `Abdullah bin Mas`ud (R.A) (R.A) said, "Whoever recites ten verses from Surat Al-Baqarah in a night, then Shaytan will not enter his house that night. (The Dua’s are 1, 2, 3, 4, 5, 6, 7 and 8). 255. Allah – there is no deity except Him, the Ever-Living, the Sustainer of [all] existence. Neither drowsiness overtakes Him nor sleep. To Him belongs whatever is in the heavens and whatever is on the earth. Who is it that can intercede with Him except by His permission? He knows what is [presently] before them and what will be after them, and they encompass not a thing of His knowledge except for what He wills. 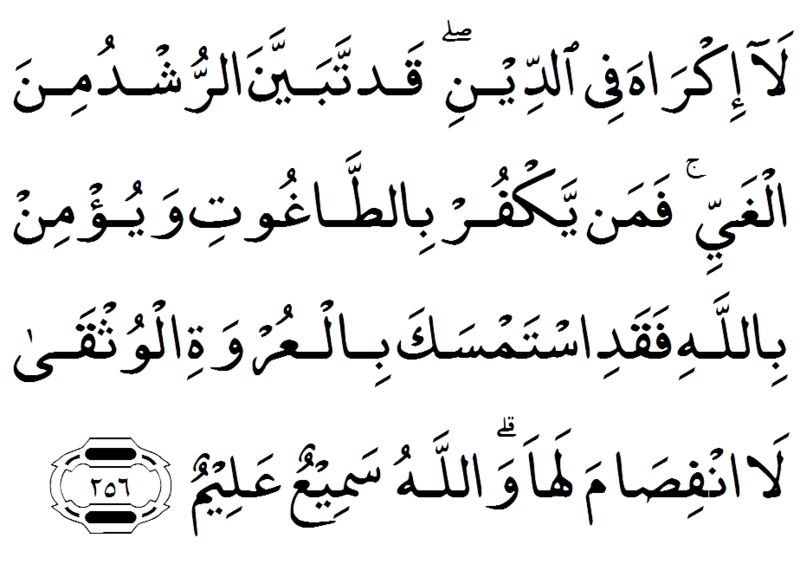 His Kursi extends over the heavens and the earth, and their preservation tires Him not. And He is the Most High, the Most Great. Narrated Abu Huraira (r.a) Allah 's Apostle ordered me to guard the Zakat revenue of Ramadan. Then somebody came to me and started stealing of the foodstuff. I caught him and said, "I will take you to Allah's Messenger (s.a.w)" Then Abu Huraira (r.a) described the whole narration and said: That person said (to me), "Please don't take me to Allah's Messenger (s.a.w) and I will tell you a few words by which Allah will benefit you. 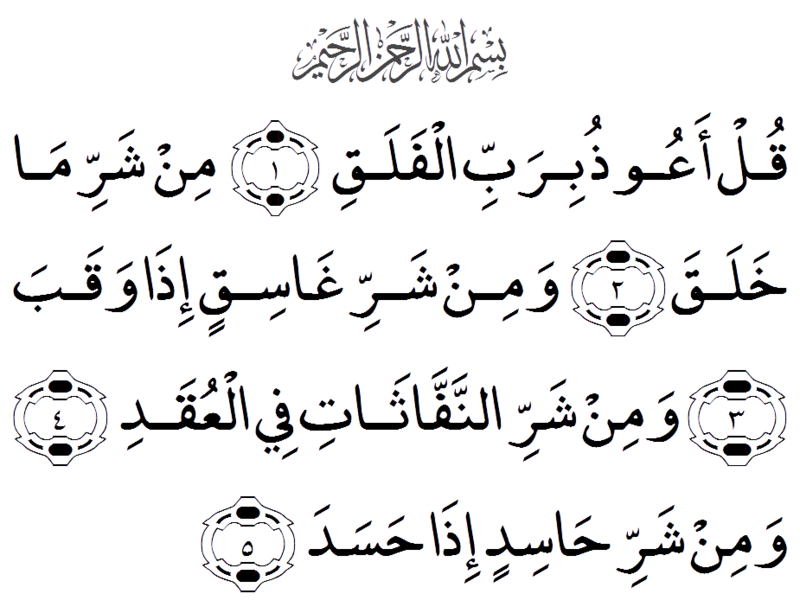 When you go to your bed, recite Ayat-al-Kursi, (2.255) for then there will be a guard from Allah who will protect you all night long, and Satan will not be able to come near you till dawn." When the Prophet (s.a.w) heard the story he said to me, "He who came to you at night, told you the truth although he is a liar; and it was Satan." 256. La ikraha fee addeeniqad tabayyana arrushdu mina alghayyi faman yakfur bittaghootiwayu/min billahi faqadi istamsaka bilAAurwatialwuthqa la infisama laha wallahusameeAAun Aaaleem. 256. There shall be no compulsion in [acceptance of] the religion. The right course has become clear from the wrong. So whoever disbelieves in Taghut and believes in Allah has grasped the most trustworthy handhold with no break in it. And Allah is Hearing and Knowing. 257. 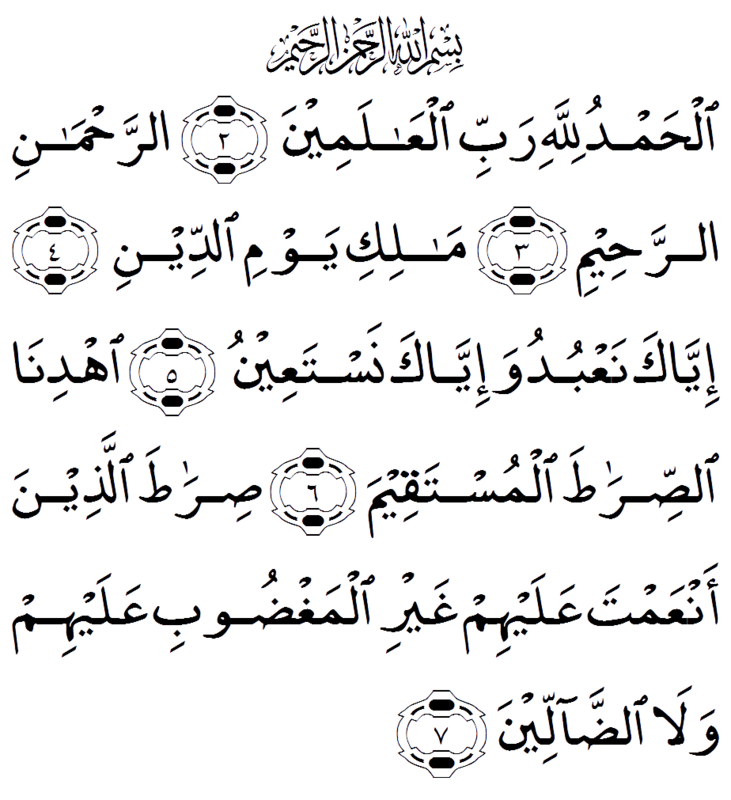 Allahu waliyyu allatheena amanooyukhrijuhum mina aththulumati ilaannoori wallatheena kafaroo awliyaohumuattaghootu yukhrijoonahum mina annoori ilaaththulumati ola-ika as-habuannari hum feeha khalidoon. 257. Allah is the ally of those who believe. He brings them out from darknesses into the light. 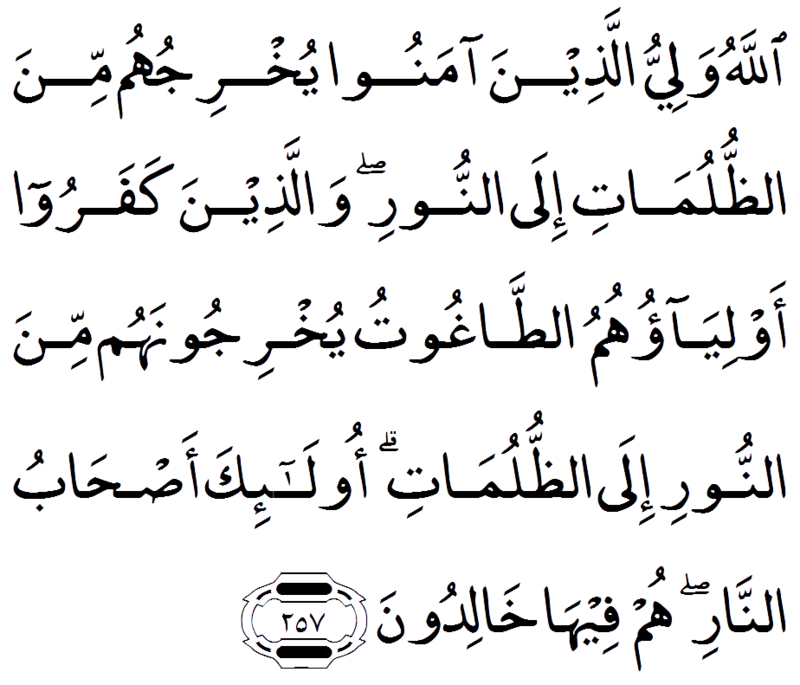 And those who disbelieve – their allies are Taghut. They take them out of the light into darknesses. Those are the companions of the Fire; they will abide eternally therein. 284. Lillahi ma fee assamawatiwama fee al-ardi wa-in tubdoo ma feeanfusikum aw tukhfoohu yuhasibkum bihi Allahufayaghfiru liman yashao wayuAAaththibu man yashaowallahu AAala kulli shay-in qadeer. 284. To Allah belongs whatever is in the heavens and whatever is in the earth. Whether you show what is within yourselves or conceal it, Allah will bring you to account for it. Then He will forgive whom He wills and punish whom He wills, and Allah is over all things competent. 285. Amana arrasoolu bimaonzila ilayhi min rabbihi walmu/minoona kullun amanabillahi wamala-ikatihi wakutubihiwarusulihi la nufarriqu bayna ahadin min rusulihiwaqaloo samiAAna waataAAna ghufranakarabbana wa-ilayka almaseer. 285. The Messenger has believed in what was revealed to him from his Lord, and [so have] the believers. All of them have believed in Allah and His angels and His books and His messengers, [saying], “We make no distinction between any of His messengers.” And they say, “We hear and we obey. 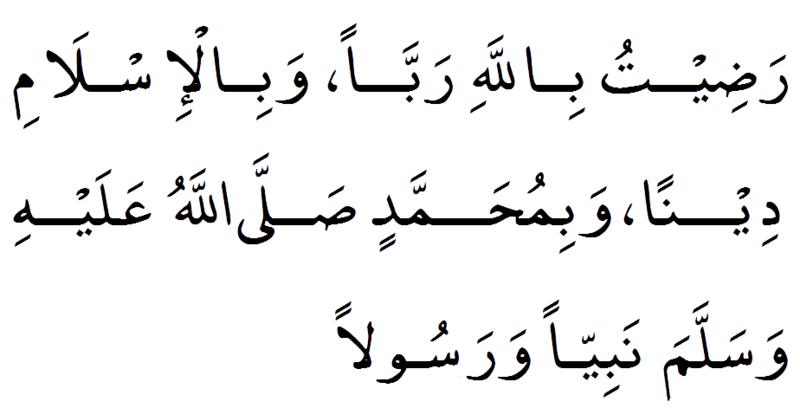 [We seek] Your forgiveness, our Lord, and to You is the [final] destination. 286. La yukallifu Allahu nafsanilla wusAAaha laha ma kasabatwaAAalayha ma iktasabat rabbana latu-akhithna in naseena aw akhta/narabbana wala tahmil AAalayna isrankama hamaltahu AAala allatheena minqablina rabbana wala tuhammilnama la taqata lana bihi waAAfuAAanna waghfir lana warhamnaanta mawlana fansurna AAalaalqawmi alkafireen. 286. Allah does not charge a soul except [with that within] its capacity. It will have [the consequence of] what [good] it has gained, and it will bear [the consequence of] what [evil] it has earned. "Our Lord, do not impose blame upon us if we have forgotten or erred. 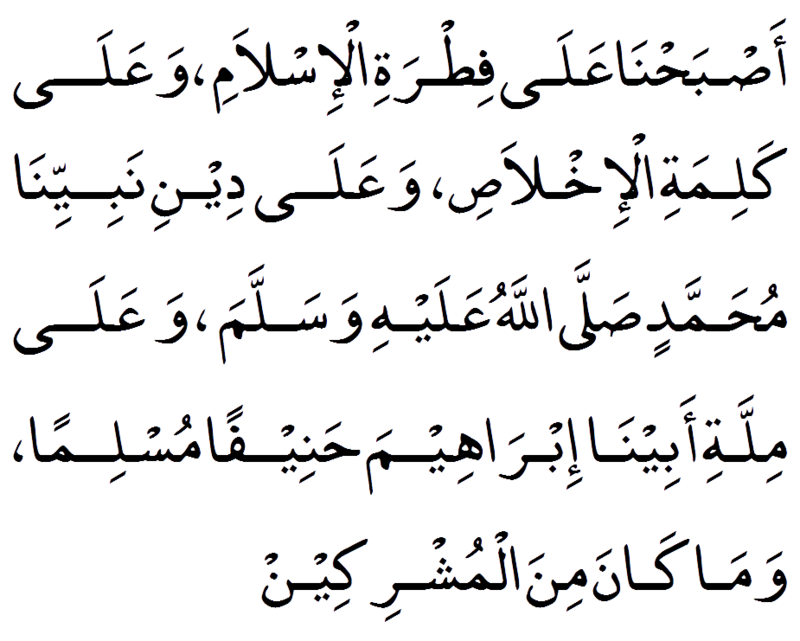 Our Lord, and lay not upon us a burden like that which You laid upon those before us. Our Lord, and burden us not with that which we have no ability to bear. And pardon us; and forgive us; and have mercy upon us. You are our protector, so give us victory over the disbelieving people. 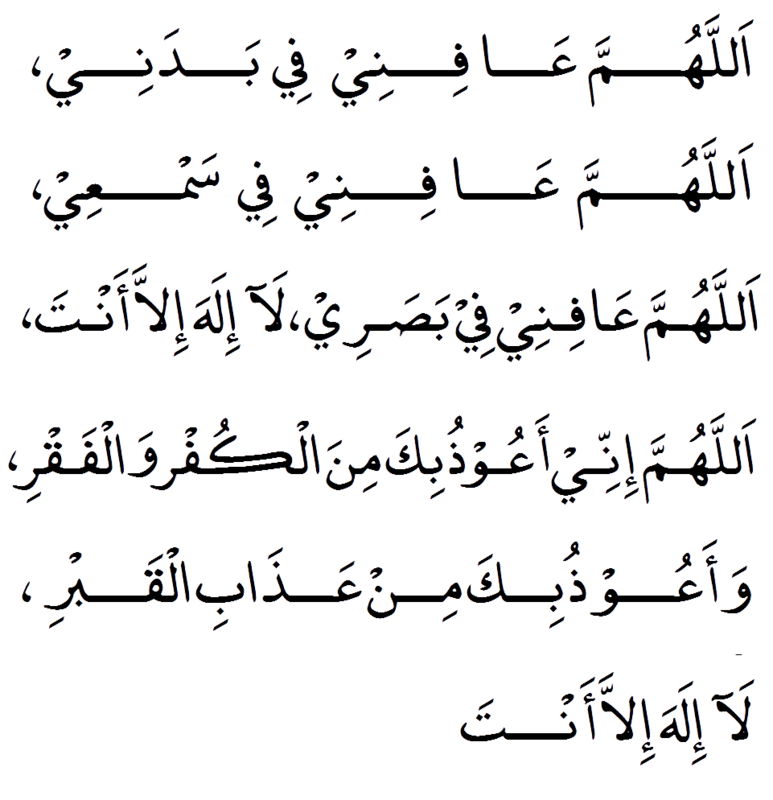 Whoever recites (Three Qul) three times in the evening and in the morning will protect you against everything. The Prophet (S.A.W) used to say this Dua in the evening. So whatever was not part of the religion of Islam at that point should never be part of the religion of Islam today. The Sahabas (R.A) Taabi’een and Imams issued many warnings against innovation (Bid'ah). Hudhayfah ibn al-Yamaan (R.A) said, every act of worship which the companions of the Messenger of Allaah (S.A.W) did not do, do not do it. Ibn Mas’ood (R.A) said, follow and do not innovate, for the religion is complete. Adhere to the old way (i.e the way of the Prophet (S.A.W) and the Sahabas (R.A). 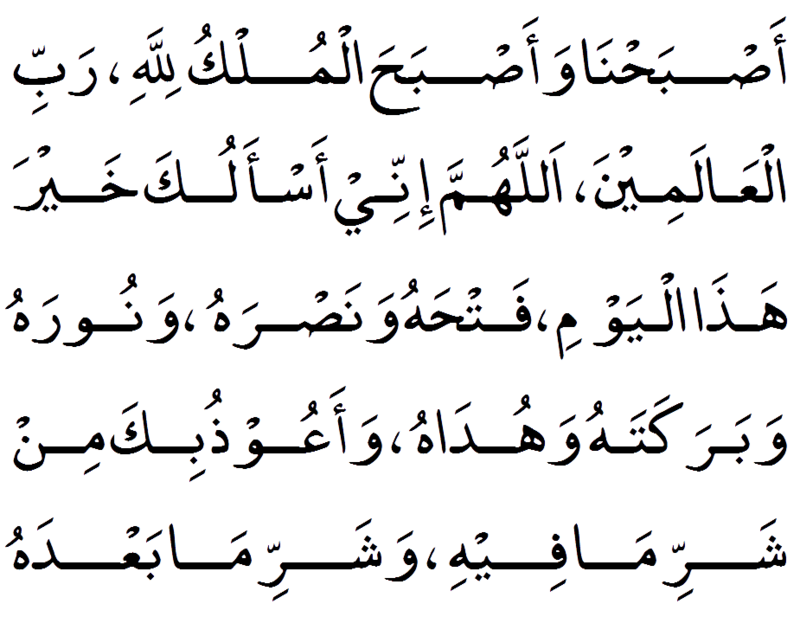 The Messenger of Allah (S.A.W) taught his companions to say (this Du'a) in the evening/morning. 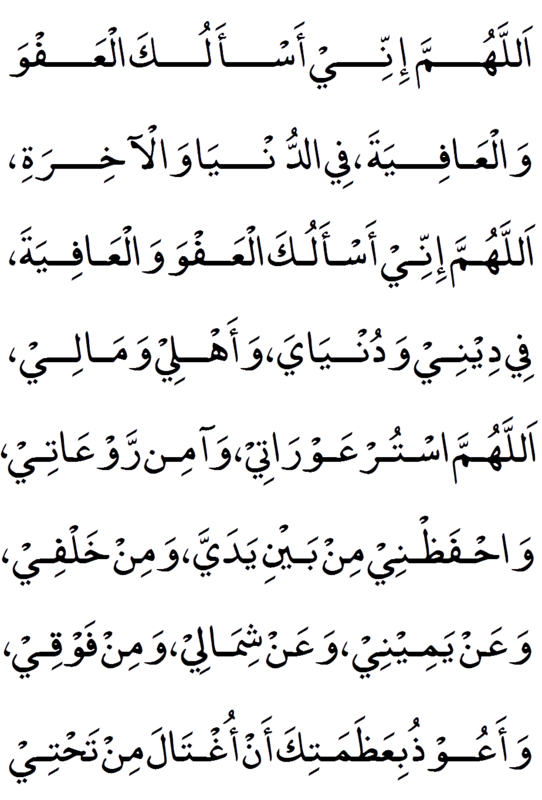 REQUEST: Please send us the virtue/benefit of this Du'a and InshAllah we will publish on next update. The Prophet (S.A.W) said, “Whoever says this in the morning has indeed offered his day’s thanks and whoever says this in the evening has indeed offered his night’s thanks”. Abdullah bin Umar (R.A) narrated the Prophet (S.A.W) talked about a servant of the Servants of God said (This Du'a…) then two angels feel heavy and do not know how to register (rewards) and they ascended to Allah and said "O our Lord, We DO NOT know how record his reward when he said this words “He replied, "What did he said? “Angel second replied “he says Ya Rabbi….and Allah SWT replied "write reward as what just spoken by him until he meets me, I will reward him. Allah has promised that anyone recites (this Du’a) in the morning and evening will be pleased on the day of resurrection. O Allah, I ask You for pardon and well-being in this life and the next. O Allah, I ask You for pardon and well-being in my religious and worldly affairs, and my family and my wealth. O Allah, veil my weaknesses and set at ease my dismay, and preserve me from the front and from behind and on my right and on my left and from above, and I take refuge with You lest I be swallowed up by the earth. 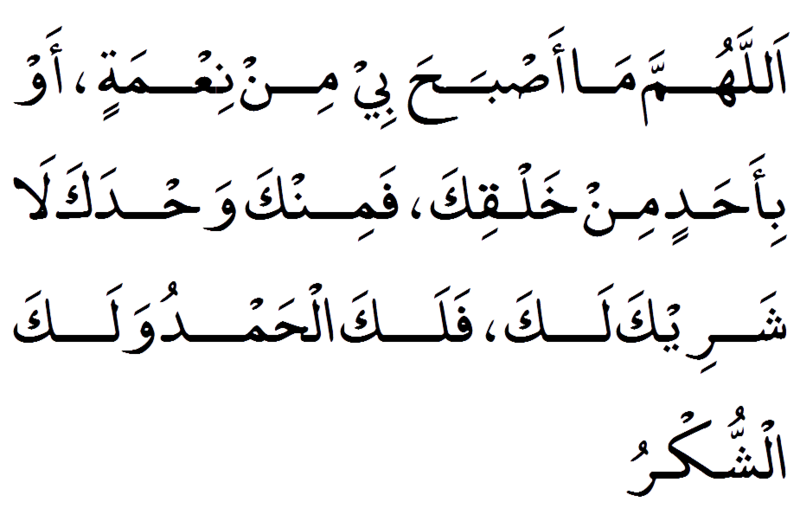 The Messenger of Allah (S.A.W) never missed to reciting this Du’a in the evening and in the morning. 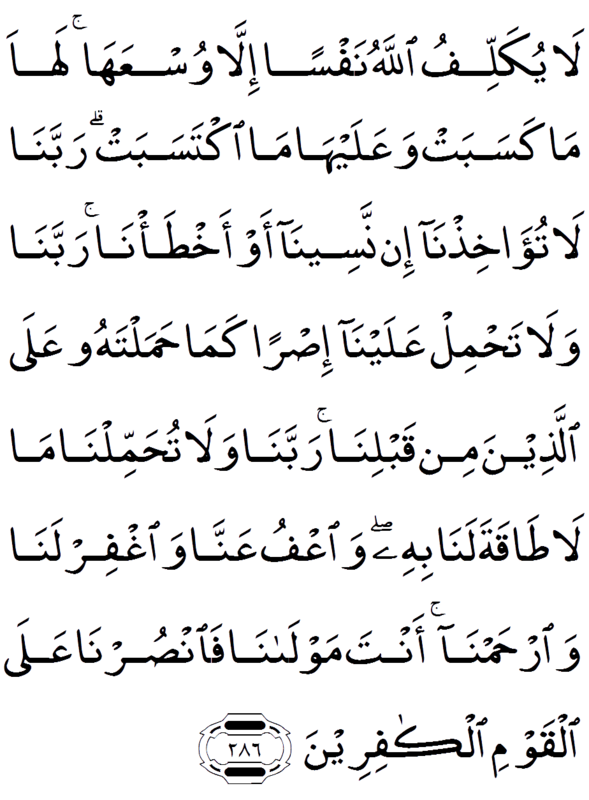 The Messenger of Allah (S.A.W) said whoever recites this Dua three times, nothing will harm him. 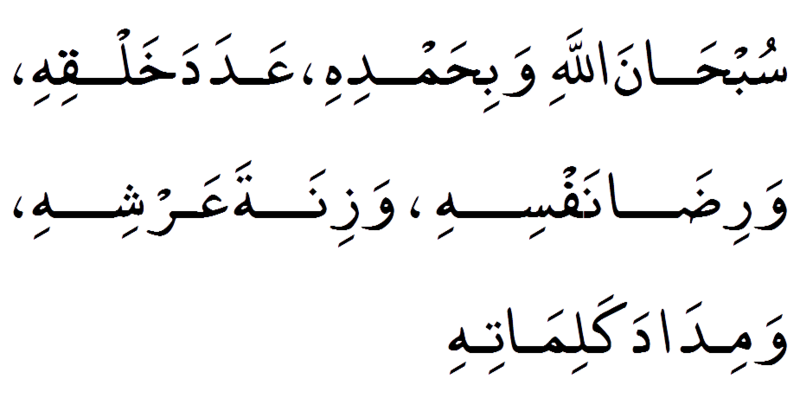 Also he said: “Shirk among you is more subtle than the sound of the footsteps of an ant on a rock. Shall I not tell you of something which, if you do it, it will take that away from you both minor and major forms of it” (Saying this Du’a). Narrated by Khawlah bint Hakeem Al-Sulamiyyah said I heard Prophet (S.A.W) said, “Whoever make a stop on a journey and say this Dua, nothing will harm him until he moves on from that place”. Anas ibn Maalik (R.A) reports that Prophet (S.A.W) once mentioned to Fatima (R.A) to recite the following supplication morning and evening. Also Abdullah ibn Mas'ood (R.A) narrated that whenever Prophet (S.A.W) used to be afflicted in any worry or concern; he used to recite this supplication. Anas ibn Malik (R.A) the Prophet (S.A.W) said, “if anyone says (this Du'a) in the morning or in the evening Allah (SWT) will emancipate his fourth from hell, if anyone says twice Allah will emancipate his half, if anyone says it thrice, Allah will emancipate three-fourth and if he says four times, Allah will emancipate him from hell”. 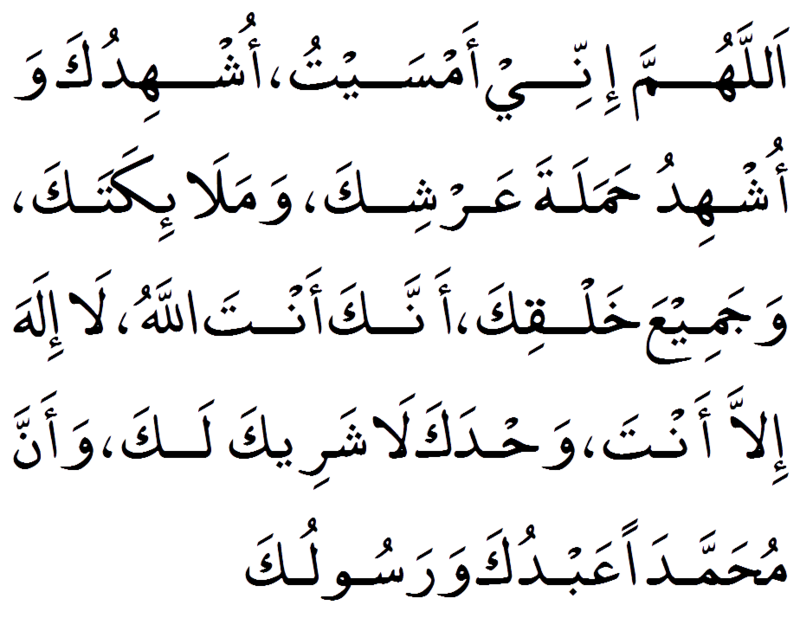 Whoever recites this in the evening has completed his obligation for the night. 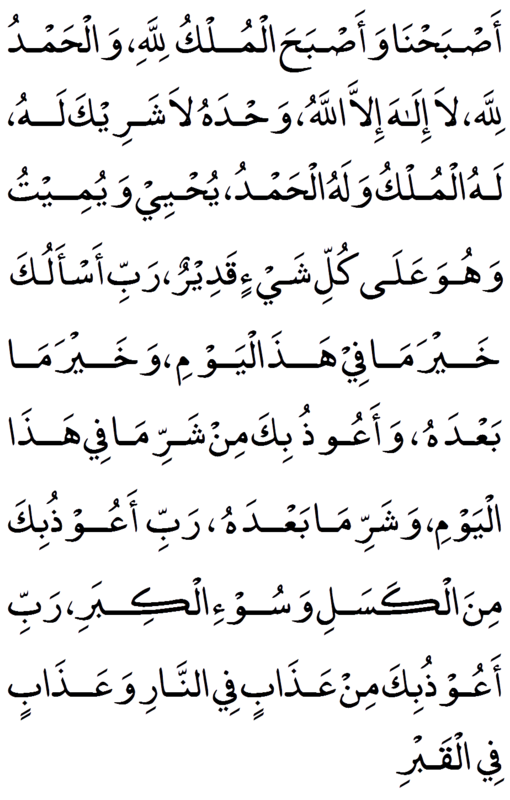 Whoever recites this Allah will grant whatever he/she desire from this world or next. 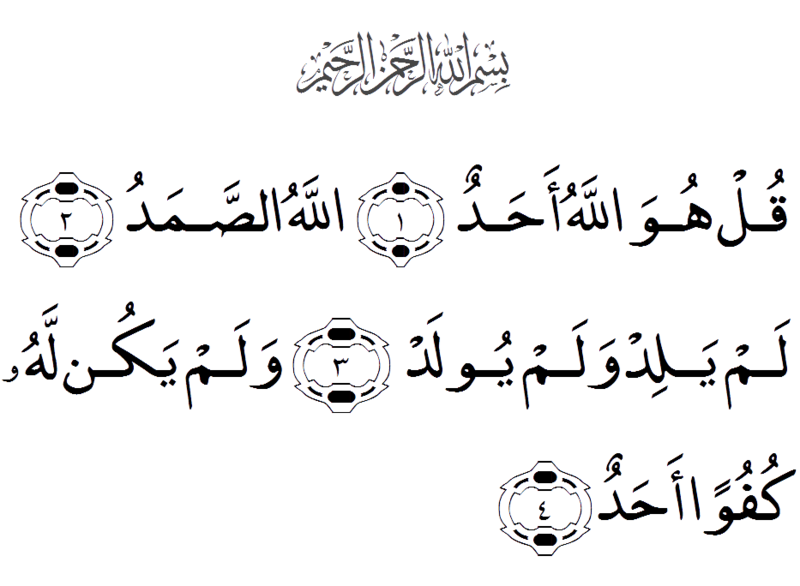 We have reached the morning and at this very time all sovereignty belongs to Allah, Lord of the worlds. O Allah, I ask You for the good of this day, its triumphs and its victories, its light & its blessings and its guidance, and I take refuge in You from the evil of this day and the evil that follows it. None has the right to be worshipped except Allah, alone, without partner, to Him belongs all sovereignty and praise, and He is over all things omnipotent. Narrated Abu Huraira (R.A) Allah's Apostle said, " Whoever says: "La ilaha illal-lah…., one hundred times will get the same reward as given for manumitting ten slaves; and one hundred good deeds will be written in his accounts, and one hundred sins will be deducted from his accounts, and it (his saying) will be a shield for him from Satan on that day till night, and nobody will be able to do a better deed except the one who does more than he”. Abu Hurayrah (R.A.) reported that the Messenger of Allah (S.A.W) said, there are two words which are light on the tongue, heavy on the Scale and beloved to The Most Gracious. Narrated Abu Hurayrah (R.A) Allah's Apostle said "Whoever says, 'Subhan Allah wa bihamdihi,' one hundred times a day, will be forgiven all his sins even if they were as much as the foam of the sea.